Four players have left Caverna E-Sports	 Caverna E-Sports Inactive trickkz Patrick Ferreira off tank SLAY Gustavo Alves dps skulp Flavio Porto dps ShadowSong Alan Milan tank Tracker Victor Boldrim support winiking Rhuan Queiroz support and have been replaced by four new players, including three from Contenders Season 1 team Dogma e-Sports. The players who have left the team are Luc4s	, Macca	, Henry	and SimbaXp	. Caverna's additions are Tracker , ShadowSong	, skulp	and winiking	. Tracker, ShadowSong and skulp reunite after separating following their time together on Contenders Season 1 team Dogma e-Sports. winiking will be returning to the spotlight after last playing on a major roster in 2017 with Brasil Gaming House Red, while Tracker will be making his own return after sitting out Contenders Season 2. 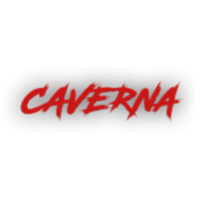 They join a Caverna team that went winless in Contenders Season 2. The only returning players on the roster are SLAY	and trickkz	. Caverna will have to finish in the top four of Contenders Trials Season 3 to make it back into the next season of Contenders South America. Trials will be played in the upcoming month.